Submitted by mahoney on Sun, 03/09/2008 - 1:53pm. Martial Arts Schools and/or instruction across the USA including Alaska and Hawaii...Martial arts are systems of codified practices and traditions of training for combat. Though studied for various reasons, broadly speaking, martial arts share a single objective: to defeat a person physically or to defend oneself from physical threat. Some martial arts are linked to spiritual or religious beliefs/philosophies such as Buddhism, Daoism or Shinto while others have their own spiritual/non-spiritual code of honour. Martial arts are commonly associated with East Asian cultures, but are by no means unique to Asia. Throughout Europe there was an extensive system of combat martial arts, collectively referred to as Historical European martial arts, that existed until modern times and is now being reconstructed by several organizations while Savate is a French kicking style developed by sailors and street fighters. In the Americas Native Americans have a tradition of open-handed martial arts, that includes wrestling and Hawaiians have historically practiced arts featuring small and large joint manipulation, a mix of origins occur in the athletic movements of Capoeira that was created in Brazil by slaves, based on skills brought with them from Africa. While each style has unique facets that makes it different from other martial arts, a common characteristic is the systemization of fighting techniques. Methods of training vary and may include sparring or forms (kata), which are sets or routines of techniques that are performed alone, or sometimes with a partner, and which are especially common in the Asian and Asian-derived martial arts,. The word 'martial' derives from the name of Mars, the Roman god of war. The term 'Martial Arts' literally means arts of Mars. This term comes from 15th century Europeans who were referring to their own fighting arts that are today known as Historical European martial arts. 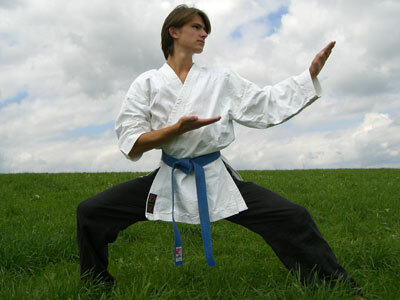 A practitioner of martial arts is referred to as a martial artist.